Jane Austen’s novels are celebrated for their irony and wit and their sharply observant account of the social life of gentry families in Regency England. Underlying the vivid immediacy of her fictional world is an awareness of prevailing social structures. Legal concepts and rules were important influences in shaping the ordinary understandings of life in her class. As Toronto lawyer Enid Hildebrand put it in 1982, ‘Estates, settlements, trusts, wills were the everyday stuff of life to Jane Austen.’ This lecture will explore some of the ways in which law figures in Austen’s novels and in her family. Kieran Dolin teaches nineteenth-century English literature at The University of Western Australia. He is the author of A Critical Introduction to Law and Literature (2007). On the two-hundredth anniversary of her death, this UWA Institute of Advanced Studies - Centre for Medieval and Early Modern Studies Lecture Series presents new perspectives on the life and work of Jane Austen. 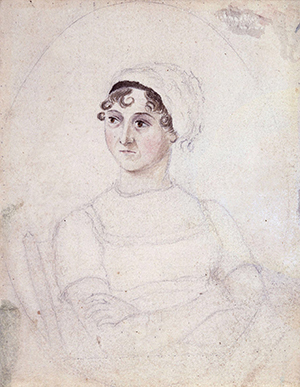 Drawing upon the latest literary and historical research, UWA researchers tackle key themes in Austen's work and the wider social and cultural contexts in which she created her now world-famous novels.